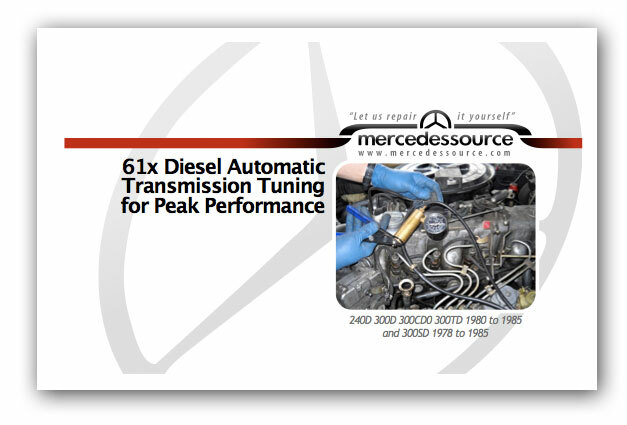 Note: This kit will NOT apply to the 1977 to 1979 W123 240D 300D 300TD 300CD diesels since they do not have a vacuum modulator. 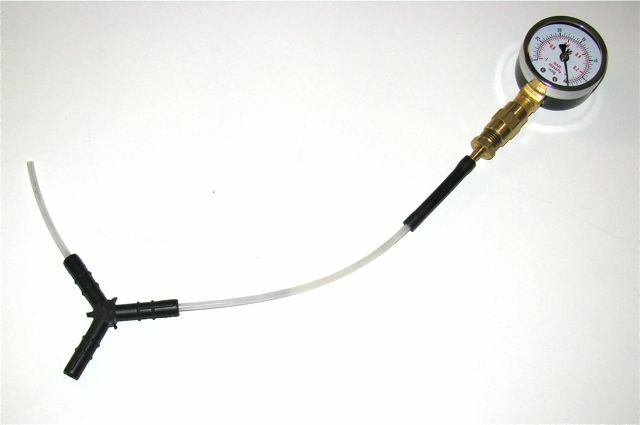 The kit comes complete with gauge, fittings, connectors, and a 6 foot long extension rubber hose that will allow you to mount the gauge inside your car for road testing. There is nothing like a good old road test with this gauge attached to really tell you what is going on with the vacuum being supplied to the modulator. PLEASE NOTE: NO Instructions are included with this testing kit. HOW TO instructions are currently only available for 61x diesel transmissions up through 1985. This kit is meant to be a companion to Kents Transmission Tuning Manual. Some assembly is required. 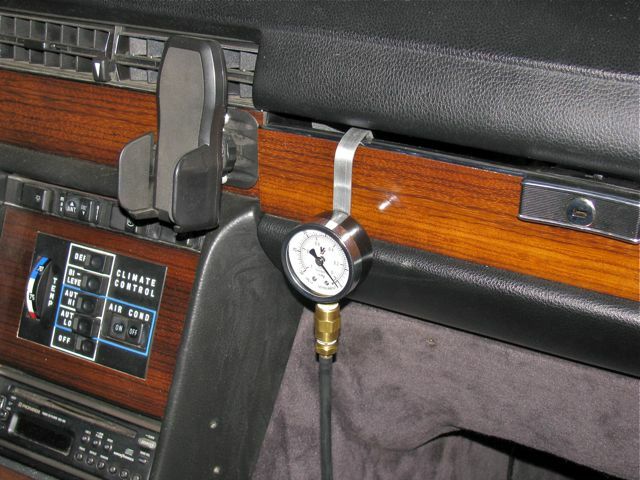 With the metal strap included and the extra hose you can mount the gauge on the glove box door as shown to view (momentarily!) while driving. You wll need epoxy to attach this strap to the back of the guage. 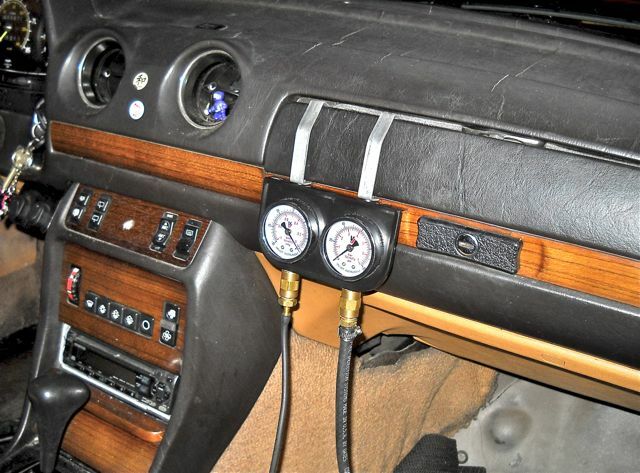 With my optional modulator pressure testing kit you can install both gauges inside your car to monitor both vacuum and hydraulic pressure inside your transmission to see exactly what the shift controls are doing each time your transmission shifts. Now that has got to be more fun that a barrel of monkeys..... Look below to order the modulator kit. Could My Vacuum Control Valve (VCV) Be The Reason My Mercedes Isn't Shifting Right?